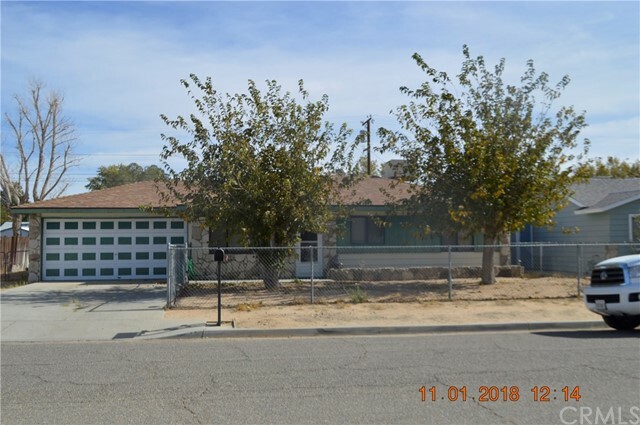 All Boron homes currently listed for sale in Boron as of 04/23/2019 are shown below. You can change the search criteria at any time by pressing the 'Change Search' button below. If you have any questions or you would like more information about any Boron homes for sale or other Boron real estate, please contact us and one of our knowledgeable Boron REALTORS® would be pleased to assist you. "Custom built home is a large home on large lot. Home features 4 bedrooms, 2 full bathrooms, tank less water heater, central heat, and laundry room with gas hookups. Kitchen has gas appliances, built in microwave and range hood, built in oven, and Tile flooring. 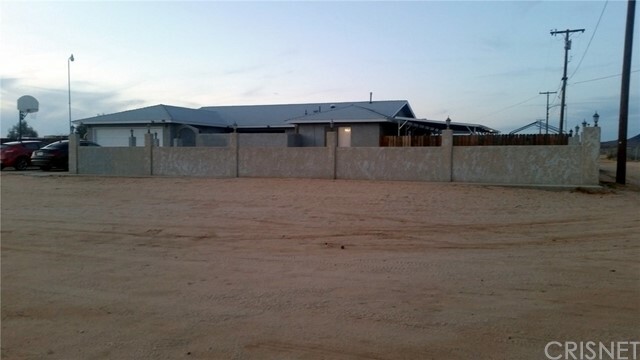 Front of the home has gated entry, desert landscaping, fenced front yard, Fully fenced back and 2 car garage. Interior; family room with a gas corner fireplace, ceiling fans throughout home, LED lighting throughout home, recently carpeted family room and master bedroom. 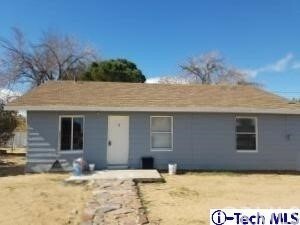 Large yard includes RV gates, storage shed, and entire yard is fenced. Exterior features include 2 carports, sheds, many storage containers, recent new roof, eves recently painted and recent landscaping improvements include crushed granite, and more to see." "Conveniently located in this quiet neighborhood this home have over 1500 square feet of living and offers both privacy and tranquility, large large family room to entertain friends and family, ceiling fans in all rooms, the dining room is huge, kitchen is pristine. 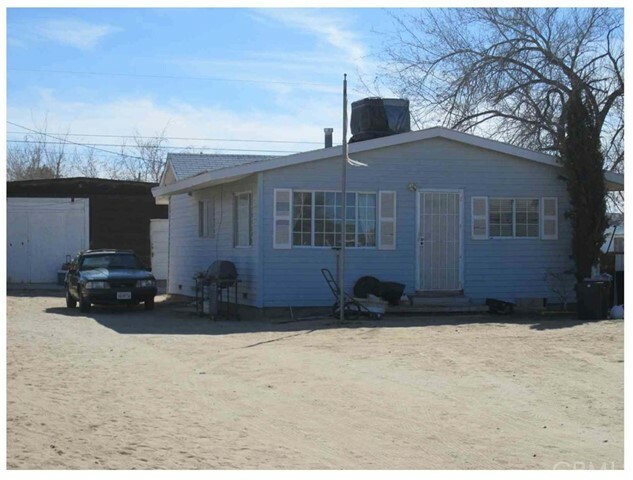 Located in the city of Boron, very close to boron Jr/Sr High, This could be the opportunity you are looking for. A multipurpose fueling station along Highway 58 has been approved to move forward in Boron. A 40-acre project that will include the construction of 24 fueling stations for 16 cars and eight trucks, a convenience store, two fast food restaurants, a three-bay maintenance building for trucks, parking for 99 trucks and 88 cars, while the California Department of transportation continues to work on the estimated $191 million State Route 58 (SR-58) Kramer Junction Expressway Project With an expected completion date of late 2020 Boron is on the border of Kern and San Bernardino Counties along State Route 58 just 40 miles west of Barstow and sees much activity from travelers on Highway 58 and 395. Association Amenities: None # of RV Spaces: 0NONE Lot Location Type: Standard Location Landscaping: Natural Special Features: None # of Attached Spaces: 2 # of Detached Spaces: 0"
"Conveniently located in this quiet neighborhood this home have over 1500 square feet of living and offers both privacy and tranquility, large large family room to entertain friends and family, ceiling fans in all rooms, the dining room is huge, kitchen is pristine. Located in the city of Boron, very close to boron Jr/Sr High, This could be the opportunity you are looking for. A multipurpose fueling station along Highway 58 has been approved to move forward in Boron. A 40-acre project that will include the construction of 24 fueling stations for 16 cars and eight trucks, a convenience store, two fast food restaurants, a three-bay maintenance building for trucks, parking for 99 trucks and 88 cars, while the California Department of transportation continues to work on the estimated $191 million State Route 58 (SR-58) Kramer Junction Expressway Project With an expected completion date of late 2020 Boron is on the border of Kern and San Bernardino Counties along State Route 58 just 40 miles west of Barstow and sees much activity from travelers on Highway 58 and 395." 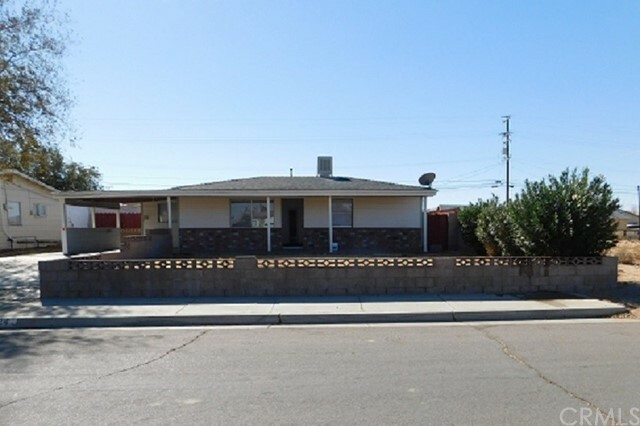 "Great opportunity to own this recently remodeled home. Home features 2 bedrooms, 2 bathrooms. Master bedroom has an extra room for a nursery. Spacious living room open kitchen with new appliances. New interior and exterior paint. Laundry room. Corner house with lot of land space. Centrally located to stores. This is a must see. You won't be disappointed!" "Great Starter home for First time home buyers & Military family for under $100k. This house can qualify for USDA Financing which means, you can possibly qualify for 100% financing to purchase. House has been in the family for years and now waiting for a new family to take over the tradition of being a homeowner. Close to Edwards Air Force Base and Boron High School. 2 bedroom/ 1bath Large Kitchen, Large Yard-subdivided. Needs a little TLC." "Lots of Opportunity!! Home has 2 bedrooms with large back room with laundry inside. 1 Bathroom. With some TLC this home will be amazing! Large detached garage sits on large property. Garage large enough to store a boat or possibly and RV."